Original portrait of Patrick Coutts, the first master of Kilwinning Port Royal Crosse. Patrick Coutts is sometimes described as the “moving spirit” of Kilwinning Crosse. Thought to be a wealthy Scottish merchant, his character is known to be violently independent and well trusted within the community. His origins as a business man began in Port Royal and later found him in Richmond where he owned large portions of land in the city center and outlying areas on the James area. There, he operated a ferry on land he owned known as “the Fishery and the Ferry” likely just below the present day Mayo Bridge. Of interest to the lodge is that Brother Coutts presided over the lodge for a total of 8 stated or emergent communications. The dates of these communications begin at April 12, 1754 and conclude November 10, 1754. These dates pre-date the signing of the 1755 charter from the Grand Lodge of Scotland. 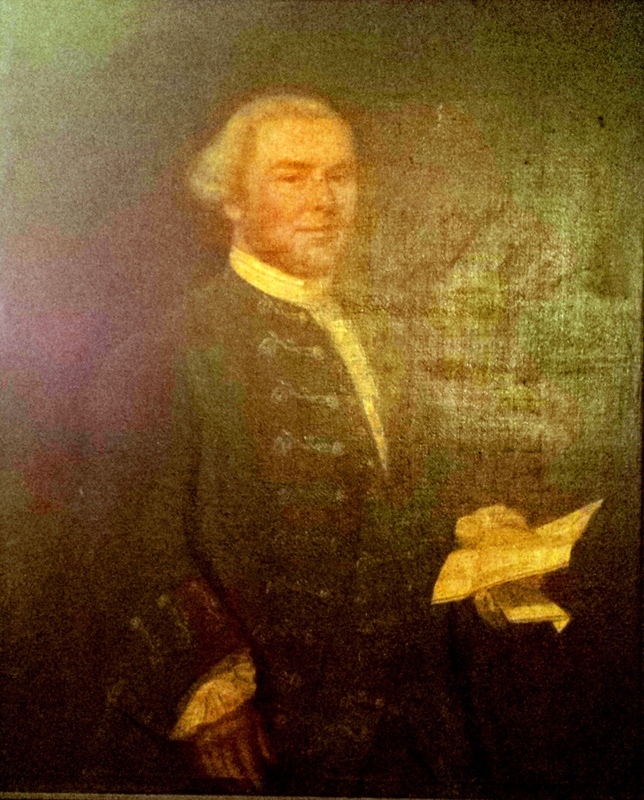 Today, an original portrait of Patrick Coutts is available for viewing in the present-day Kilwinning Crosse Lodge. Hillman, James Noah. Kilwinning Crosse Lodge Number 2-237, A.F. & A.M., the Second Oldest Chartered Lodge in the Commonwealth of Virginia. Richmond, Virginia: Grand Lodge of Virginia, 1955.